Sew & Tell: May GOALS! Well, as quickly as April FLEW by - we are somehow already five days into May and I think I finally have all of our calendars flipped to the new month! Wowza! April was crazy busy - and May promises to be just the same. Here is a "quick" list of my goals for the month. 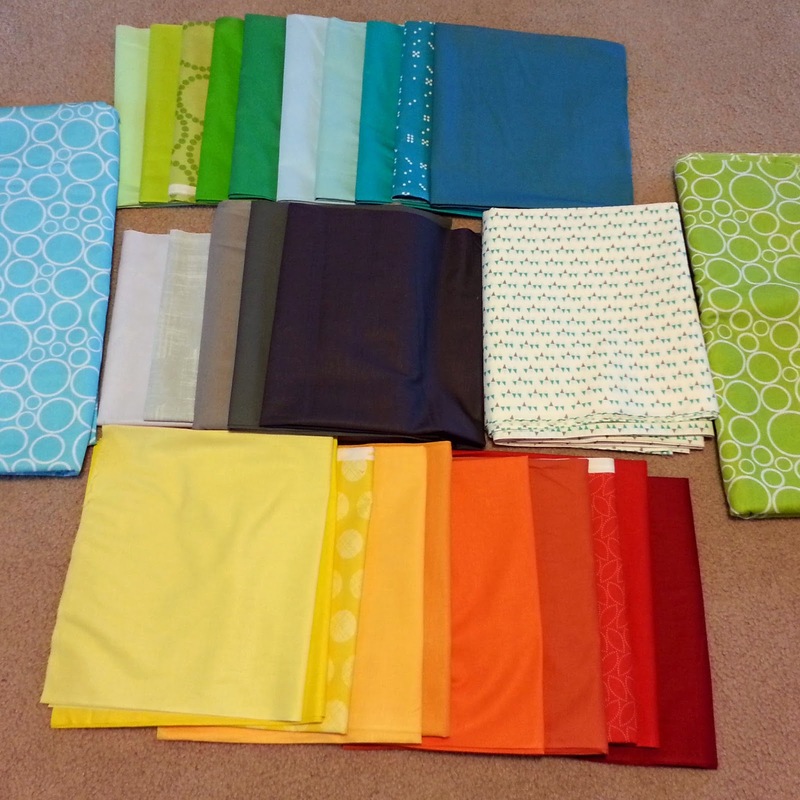 Project Quilting off season challenge #2 - "Can you measure up?" My May goal for A Lovely Year of Finishes is to get my fabric cut for the Avatrix Medallion quilt-a-long and the center medallion pieced together. I need to schedule some cutting / sewing dates with my friend Kelly so we can get to work on this ASAP! Today, May 5th, is the start of the Bikini Body Mommy 90 day Challenge (2.0) - and I'm SO excited (even if I can barely breathe thanks to a nasty head cold or attack of seasonal allergies!). My goal is to stick with the challenge - completing every single day - no excuses - just like the last 90 day challenge. I can't wait to see the changes! I'm also 4 weeks into a 9 week training program - couch to 5k - which is helping me not hate... and even LIKE.... running! Keeping up with that for sure! your photo of the beautiful fabrics made me want to read your blog- your personal goal regarding fitness makes me want to join the gym again!